What is a cow? 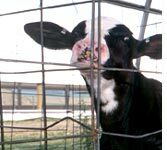 A cow is an animal. But a cow is also useful. With a cow, we feed our children, and clothe our feet, and even glue together the flaps of our cardboard boxes so that they do not burst. Similarly, human society can be very useful. It is not just a collection of people living their lives, eating food from the garden, behaving as might be expected. No: a human society, like a cow, can bring unexpected gains in the form of long-term and short-term dividends. Cargill is thus beautifully poised to benefit from the global agribusiness economy.